Let's take a look at 7 facts about the group's mature leader! It's GOT7 leader JB's birthday! So let's celebrate by getting to know the idol a little bit better with some fun facts. 7. He first debuted as an actor on "Dream High 2"
6. He has a SoundCloud account under the name "Def Soul"
Maybe JB should team up with YoungJae (and fellow SoundCloud artist) for a sub-unit! He's also showed off his songwriting skills on variety show Hyena On The Keyboard. He's even more flexible than some girl group members! 4. He's a big fan of the musical film "La La Land"
He almost cried while watching it. To be fair, so did we! 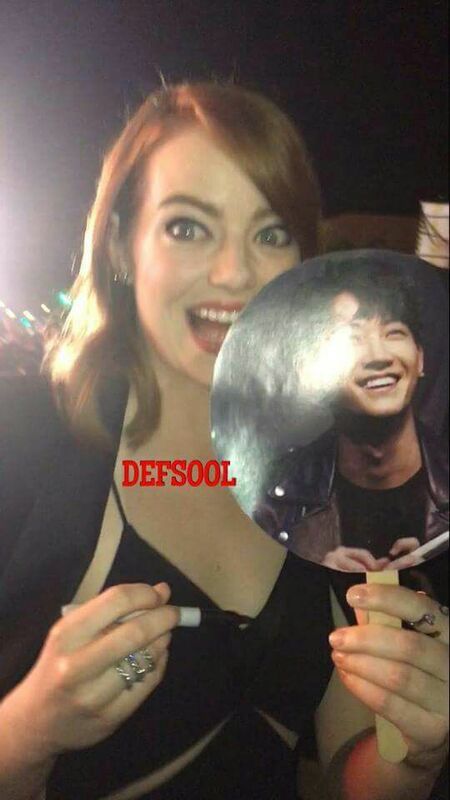 In fact, a GOT7 fan caught wind of JB's love for "La La Land" and managed to get the film's lead actress Emma Stone to pose with a photo of JB! Four years is a long time, but we're so glad he's made it! 2. He had to sing "swagger" over 100 times on "Girls Girls Girls" because J.Y. Park felt no "swag"
And he absolutely nailed it on that last take! 9 magical moments from GOT7's "Lullaby"
Are you in love with GOT7's new song too? GOT7 have had so many hits, but there's hidden ones too!